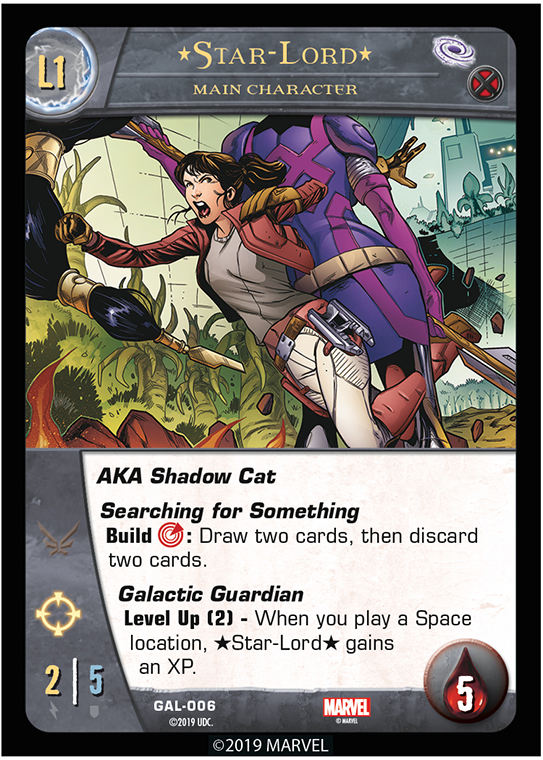 Hello and welcome to the first preview for the Galactic Guardians Issue in the Infinity War Arc for VS. System 2PCG! Yay! 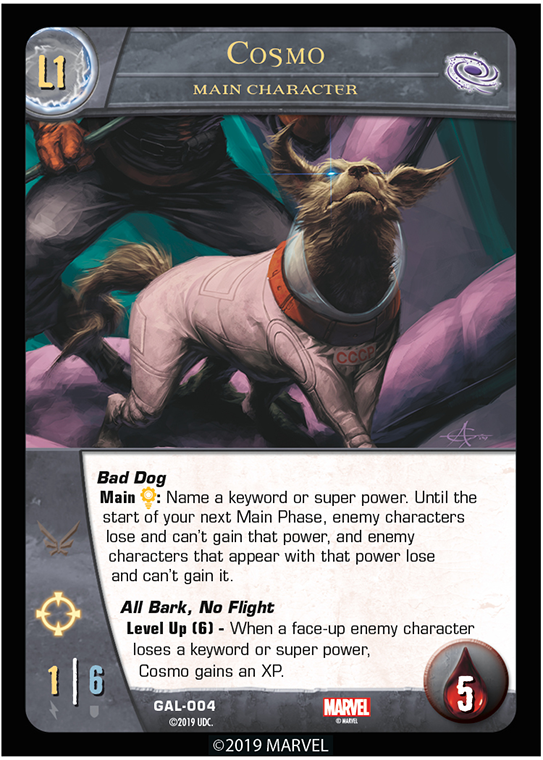 Today we are going to look at some Guardians of the Galaxy cards featuring animals – cats, dogs, “dragons”, and ducks, working together! It’s a crazy galaxy out there! 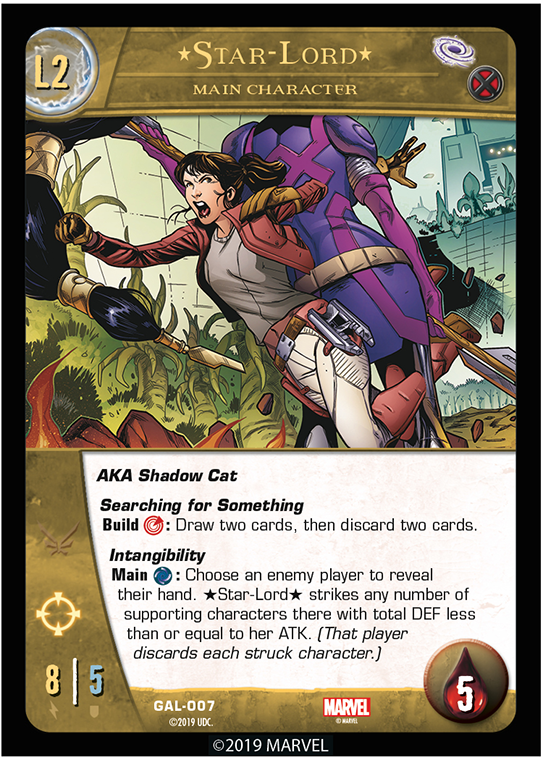 First up we have the mutant Kitty Pryde, moonlighting under the Star-Lord. She can strike any number of 0 (zero) DEF characters (or characters with * DEF). She can strike characters who normally couldn’t be struck by her while on a side (like Bulletproof characters) because those powers aren’t active while the character is in a hand. It doesn’t matter how much a struck character has, it gets discarded. Up next is Kitty’s faithful companion himself. You might say that “where there’s smoke there’s fire”. Except with Lockheed, it’s smoke or fire. But there are stranger things than Lockheed in the galaxy. We hope you enjoyed our look at some of the amazing creatures in the galaxy! 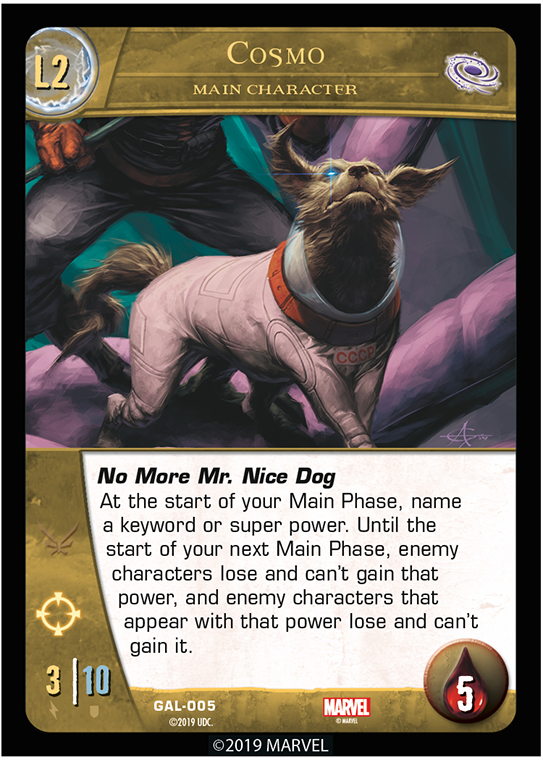 Join us next time when we look at more mechanically (and divinely) inclined cards! 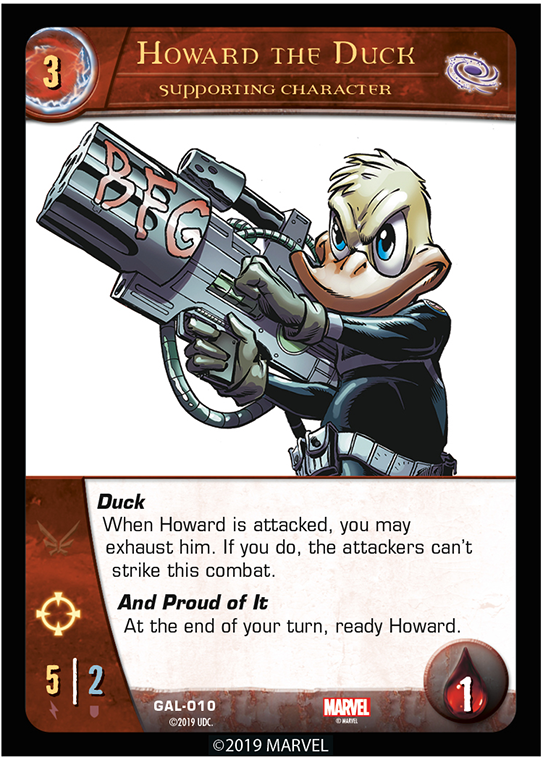 Thanks for checking out our second card preview for Vs. System 2PCG Galactic Guardians. 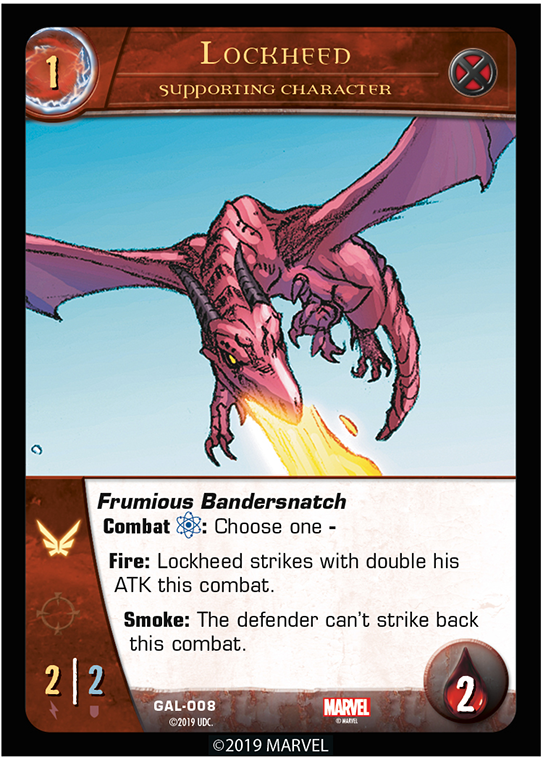 Be sure to pre-order it with your FLGS. It will be available March 13th 2019!